One does not have to read too far into the Bible to find that it says that God hardens hearts, puts lying spirits in the mouth of false prophets, blinds, people to the truth, inflicts sickness, creates evil, and more perplexing things. Failure to understand these statements have led to doctrines that paint God in less than a favorable light. However, when we understand the permissive sense, these difficulties will disappear. This book will help you understand this important principle and will remove all doubt about God’s love, goodness, and holiness. Understanding what the Bible Means when it says that God sent sickness, disaster, evil spirits, deception, etc. There are numerous places in Scripture where God says that He will “send” or is said to have “sent” a disaster, a plague, pestilence, delusion, an evil spirit, a cruel and ruthless enemy army, ferocious man-eating wild animals, and other harsh judgments. However, an often neglected principle of Bible interpretation is found in the statement that "God is said to 'send' or to 'have sent' that which He merely did not prevent or hinder." When we understand this truth then we get a better picture of the God who is exactly like Jesus Christ. 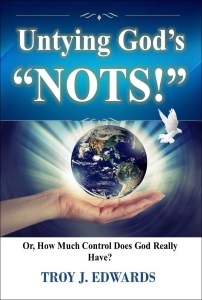 Or, How Much Control Does God Really Have? A common phrase used by many Christians, particularly when there is some tragic event, is that “God is in control”. Many people mean different things by the statement, however, the majority of those who use the statement believe that God initiated the tragic event and had a secret mysterious plan to bring some unknown good from it. This book looks at a number of arguments and Scriptures used by proponents of this teaching and show the reader that it does not line up with the Bible’s teaching about God. 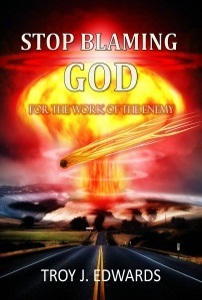 Satan is a slanderer who has deceived men into falsely blaming God for his own works. Sadly, the majority of Christians have bought into his deceptions and denigrate God’s character in their sermons and Bible studies. 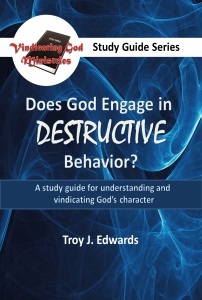 In this study we will examine several areas in which God is always getting the blame, even from His own children, and show the reader that Scripture actually points to Satan as the culprit. Once we have learned this truth then we will learn how to walk in victory over all satanic circumstances. 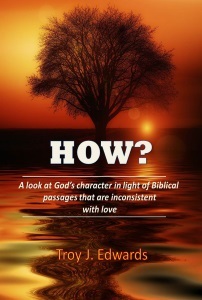 A look at God's character in light of Biblical passages that are inconsistent with love. In this book, How? We will look at a number of God’s acts recorded in the Bible, those acts that upon a superficial reading of Scripture, paint Him as malicious, harsh, hypocritical and in some cases, worse than the humans whose sin He punishes. Hopefully when you see the explanations that the Word of God itself offers you will see the Father of our Lord Jesus Christ in a new light. A Biblical Explanation for Evil. 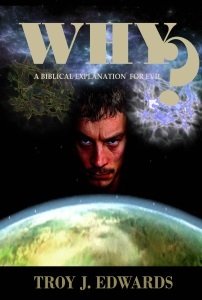 In this book we want to prove to the reader that the Bible offers a satisfactory answer to the “why” questions many have in relation to an omnipotent but good God in contrast to the rampant heart-breaking evil we see in our world. We believe that the answers we provide in this book are enough to vindicate God’s goodness and justice in the light of evil. We also believe that this book will help you to see a picture of a loving God who never planned any of this evil and pain. 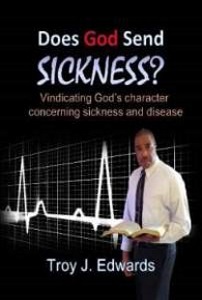 Vindicating God’s character concerning sickness and disease. God has been taking the blame for sickness and disease for centuries. 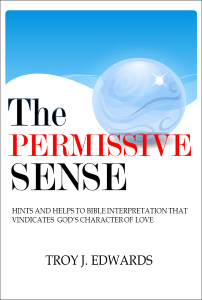 This book will look at some difficult Bible passages in light of the permissive idiom of the ancient Hebrew language, in which God is often said to do the things that He merely allowed or permitted to happen. Those passages in both the Old and New Testaments that make God appear to be a cold and cruel dispenser of sickness and disease will be seen in a new light. 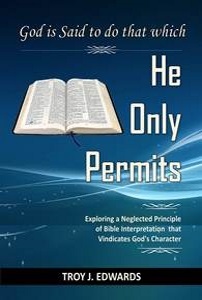 In this book we study one of the most neglected truths which is “the permission idiom” in which God is said to be the cause of that which He merely allowed, permitted or did not prevent from happening. Neglect of this idiom has led to much misunderstanding about God and the Bible. This book will help you see God as light with no darkness in Him (1 John 1:5). There are sincere worshippers of Christ who love Him dearly but are quite ignorant of how to deal with difficult passages in the Bible that might be used by God’s enemies to paint a false picture of Him. Many remain confused as to how to deal with passages that seem to go against what they know by their experience is a loving God. 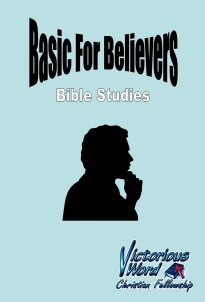 I believe that these daily devotions can assist believers in this endeavor. What we believe about God will affect our lives. It will determine how we raise our children, treat our spouses, deal with strangers, interact with fellow employees, and how we conduct our ministry to the Lord and others. Therefore, this study is vitally important. We believe that after this study you will love God and your Bible even more and, while you will continue to fear (reverence/worship) God, you will no longer be afraid of Him because you will see Him as the loving God who is just like Jesus. And you will long to become just like Him. 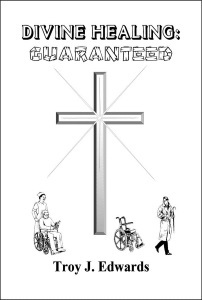 How God’s Promises are guaranteed to every believer. 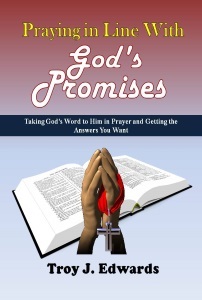 How vitally important faith and prayer is to obtaining these promises. How to pray God's promises to overcome problems. 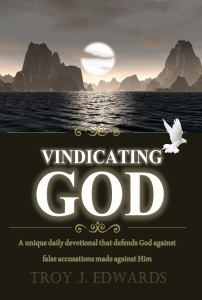 In this book, Pastor and teacher Troy Edwards shows you from the Scriptures that God is not only able and willing to heal His children, but has provided covenant promises that guarantee His intervention when they are claimed in faith. Furthermore, the death, burial and resurrection of Jesus has purchased our healing, further guaranteeing its fulfillment in our lives as we look to Him. Many people who make a decision for Christ do not remain in Him. Why are so many backsliding and falling away? Why is it that for many, a decision to make Christ their Lord and Savior does not result in a changed life? Pastor and teacher Troy Edwards believes that it is due to our failure to disciple new believers and teach them the BASICS – the foundational truths needed to empower us to live victorious Christian lives. The enemy of God and man has been known by a number of titles: Satan (adversary), Devil (slanderer), accuser, afflicter, serpent, dragon, Beelzebub, murderer, deceiver, liar, etc. 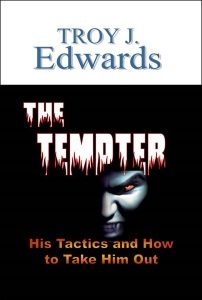 However, his most significant role concerning mankind has been that of the Tempter.In The Tempter: His Tactics and How to Take Him Out, Pastor, Teacher and author Troy J. Edwards takes you through the Scriptures and exposes the Tempter’s sinister and crafty attacks on man. For centuries the place of miracles in the church has been debated. This controversy remains in our day. 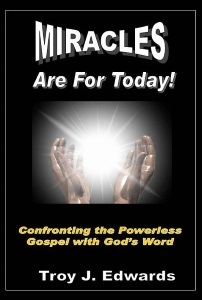 Numerous views and theological positions are advocated in defense or rejection of miracles for today. In this book, we refute the idea that God's miracles are only for a past generation and explains from Scripture how God's people can experience frequent miracles in their corporate worship as well as within their personal lives. Who is behind the trials in life: God or Satan? Why did Jesus have to suffer so much in order to save us? 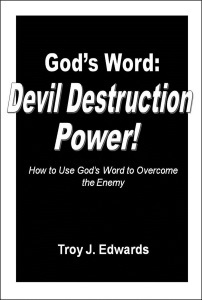 Why is it necessary to know and use the Word of God to win battles against Satan? Why does Satan have to yield to God’s Word?